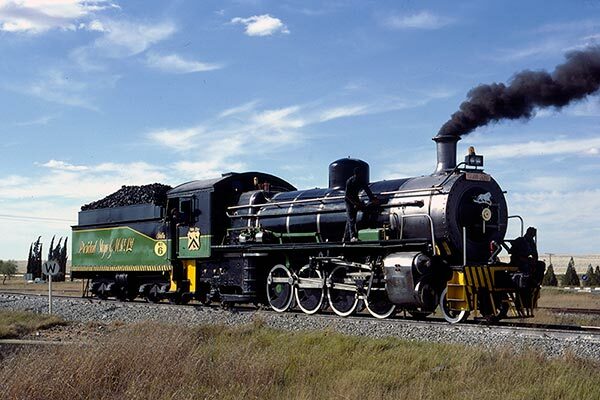 Caption - President Steyn Gold Mining near Welkom had three immaculate ex-South African Railways 11 class 2-8-2s which in part replaced diesel operation at the mine. The picture shows no.6 (SAR 929) which is being cleaned as it returns to the main shaft to collect more ore hoppers! The standard of maintenance was equally impressive with the steam locos looked after extremely well as can be seen in this image taken in May 1981.